It’s like having sunglasses for your home! Can’t see the big game on your TV? With window tinting, you can. Residents of the Pacific Northwest know there are certain items that one must carry outside at all times, especially during the stormy winter months: a warm, waterproof jacket, something to cover the head — and sunglasses. That’s because the weather in these parts can change from moment to moment, sometimes going from dark and brooding to bright sunshine and back in a matter of minutes. Inside the home, it’s different. We’re already warm, dry, and protected from the elements. But the glare from the sunlight — even when it’s hidden behind clouds — can make for an uncomfortable experience. Did you ever walk out of your house just to have that bright sunlight hit you in the face? When you put on your sunglasses everything is just fine. Pacific Window Tinting can do for your home what your sunglasses do for you. Glare is all about light, and glare control is all about window tints. Sunlight hits your home from many angles and with varying intensity throughout the day. With window tinting, it doesn’t matter what time it is or where the sun is positioned in the sky — you’ll be protected from glare day long. Most importantly, you’ll still be able to enjoy the view. Talk about having your cake and eating it too! 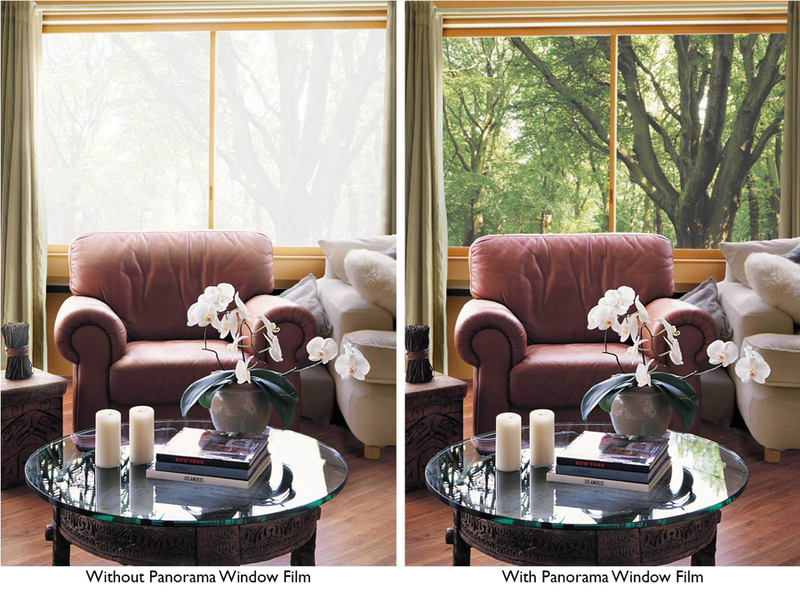 Panorama window films come in many different shades and levels of darkness: from tints that are so light, they’re hardly noticeable to tints so dark, the home looks like a stretch limo. At Pacific Window Tinting, our expert staff can help you decide which film is just right for you, your family, and your home. Pacific Window Tinting is a female-owned business that’s built a legacy of quality work and exceptional customer service since 1998. We’re proud to be Oregon’s most trusted and respected provider of premium window tinting for both commercial and residential properties. When you partner with us, our in-house crew of installation experts will use only the highest quality materials, and we guarantee the project will be completed as promised. We promise to make it right. The friendly and helpful representatives at Pacific Window Tinting will help you achieve the perfect results for your project. We’re a family-owned business, and we’ve served the greater Portland community for two decades and counting. Pacific Window Tinting guarantees the quality of its applications, and we follow industry best practices and adhere to all manufacturer specifications. All our films are backed by a robust manufacturer warranty (ranging from three years to a lifetime, depending on product category). Please don’t hesitate to contact Pacific Window Tinting with any warranty-related questions. Finally, if for any reason you are not fully satisfied with the quality of the product or the installation itself, please contact us and we will remedy the situation. Interested in learning more? Here are the facts about window tinting! Contact Pacific Window Tinting today, and let’s put some samples on your windows!